In 1987 I started with my first vegan services to my community and since there I had seven vegan restaurants until 2005. We closed the last one and we maintained resting for a few years. 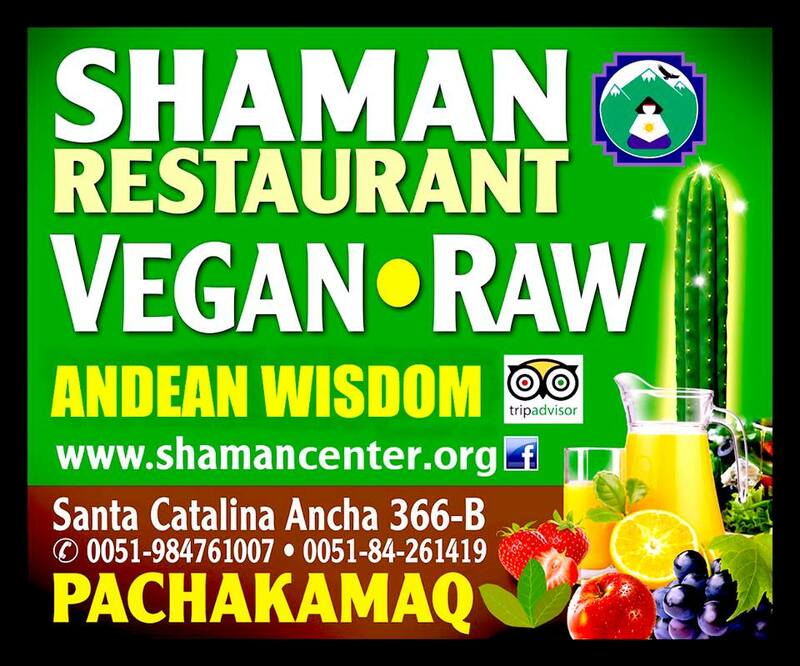 And we decided to restart a new vision in restaurant to do a high quality service for our Cusco and international community with a higher Vegan and Raw sharing with you. In September 2nd 2012 we reopened for you dear sisters and brothers, and our service will provide high quality meals, of course Vegan & Raw options. We are also working in the project in producing our own vegetables and other organic products which will come directly to our restaurant and you will not only enjoy, but will also learn about many of the great things that Pachamama can offer to us. We need to make our part stimulating the New Generations to become vegans if we want a better World preserving our beautiful Planet!. other things that the land of the Inkas can offer to you.